Irish Dairy Board has warned that price volatility | Sorbic acid|Potassium sorbate|Food Additives|Food Preservatives|Food Ingredients|WangLong Group co.,ltd. The Irish Dairy Board, the commercial co-operative that exports Irish dairy produce, has reported a dip in turnover to just under €2.09 billion for 2008, down 7% on the previous year. The board said that highly priced stock had a negative impact on profitability in the first half of the year, but the second half saw a major improvement from both the consumer and ingredients divisions. This resulted in a reduction in the full year operating surplus to €24.3m. The Irish Dairy Board’s consumer foods division reported ‘a good year’. Its product portfolio includes the Kerrygold and Pilgrims Choice brands. AdvertisementThe board said its branded sales in the US grew by 3%. Kerrygold’s Dubliner cheese maintained its ‘impressive’ growth while Kerrygold butter kept its number one position in the imported butter brand in the US. In the UK, Kerrygold branded butter sales showed volume growth despite a difficult trading environment. Overall sales in Africa rose by almost 6% and the board continued its expansion strategy with the launch of Kerry whole while milk powder in Algeria at the end of last year. The Dairy Board’s commercial and food ingredients business had a ’satisfactory’ year overall. Volume sales of dairy powders increased by 30%. Turnover at DPI Speciality Foods in the US grew for the sixth year in a row and recorded a 7.5% increase over 2007. As part of its strategic development plan, the board is placing increasing emphasis on the expansion of its consumer market and distribution capability in both developed and emerging markets worldwide. 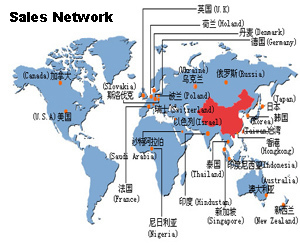 To this end, it has appointed sales and marketing personnel in the Middle East, Russia and China. The net assets of the board by the end of the year were €359m, down €37m on the previous year due mainly to currency effects and pension revaluation. IDB Chairman Michael Cronin warned that price volatility will be a feature of dairying for the coming years and this will affect dairy farmers throughout the world.